Strash Foot & Ankle Care | ‘Tis the season…for treating toenail fungus? ‘Tis the season…for treating toenail fungus? Yes! With temperatures dropping, and people trading in their open toe shoes and flip-flops for socks and boots, winter is the perfect time for treating this very common, but annoying (and sometimes painful), problem. So, what exactly is toenail fungus? Well, first, let me tell you the medical name for this: onychomycosis (say that three times, fast!). Onychomycosis is a fungal infection that causes the nail to become dark, yellow and thick. In most cases, it sneaks up on you – beginning as a small, discolored area on one toenail. THEN, it begins to spread like a weed to other nails as the infection becomes worse. Ignoring the problem leads to very thick and not so pretty toenails, as well as makes it harder to wear shoes, exercise and even walk. The causes of toenail fungus are numerous, including simply getting older, being involved in sports, swimming pools or hot tubs, certain health conditions like diabetes or HIV, and wearing bad shoes. And while some people are more prone to contracting toenail fungus, you can prevent it by making sure your feet are clean and dry. If you play sports or swim a lot, it’s important to take care of your feet. After all, toenail fungus thrives in dark, moist places – keep them dry! Also, pay attention to your shoes. If your shoes are too tight or too loose, your nails could hit the shoe, causing (believe it or not!) micro-trauma. This micro-trauma could lead to fungal infections. And speaking of toenails hitting your shoes, make sure to trim your nails on a regular basis! Long nails are more vulnerable to irritation, which could lead to an infection. 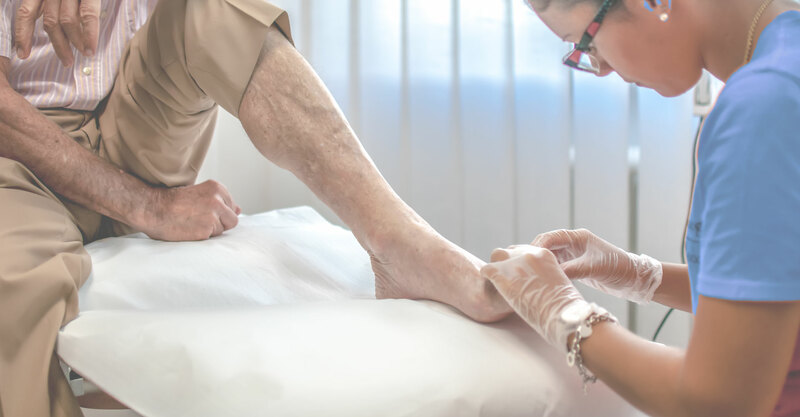 So, when should you see a podiatrist? When you notice discoloration and/or thick and misshapen toenails. Remember, it’s ALWAYS better to nip it in the bud before it spreads and becomes painful. When I see a patient and I suspect it’s onychomycosis, depending on the severity, sometimes I take a culture. That way, I can determine how bad the infection is and prescribe the appropriate treatment. Treatment can range from topical medications to oral medications to toenail removal, depending on how bad the infection is. For my patients, I always go the conservative route, first. That said, what I’ve found to be the gold standard in treating toenail fungus is oral Lamisil therapy. In my opinion and based on my patients, this treatment is by far the best way to combat the infection. Additionally, it requires no messy topical ointments – patients simply take a pill and the pill does its magic, curing even the most stubborn toenail fungus. It has definitely revolutionized the way I treat patients. So, if you suspect you have toenail fungus, give me a call, today! Winter is a great time to treat this type of infection and you’ll be ready to grab those sandals when the weather becomes warm, again. Remember, I’m always here to help you put your best foot forward!